To keep pace with the fast advancing technology in the automotive industry, Pioneer Locksmiths has been continuously investing in hardware and software and training for staff, in order to provide up-to-date solutions to any problems with car locks, keys, remote central locking and alarm systems. We repair and replace your ignition locks, door locks, boot locks. Rekey new barrels to your existing keys. 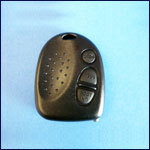 Program and cut your transponder / immobiliser key. 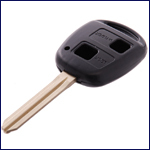 Supply and program your Holden Commodore key. Key to Code - Computer-aid key cutting-best for worn out, damaged or lost keys. Laser / Track keys (for some BMW, Holden, Mercedes, Mitsubishi, Toyota and European car models). Tibbe keys (for some Ford and Jaguar models). For your remote central locking system, we can replace the broken remote shell, check and replace batteries, supply additional remote units as well as install a new remote system to your vehicle. 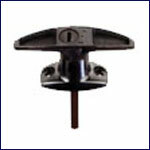 Reliable services for lock out situations. 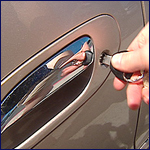 We can remove broken keys from ignition or door locks, and make a new key from the broken parts. 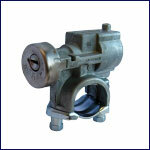 We can make a new key from the lock barrels; either from the ignition or door locks. 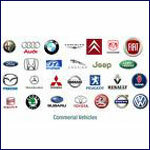 The above services also apply to your motorbikes, boats, diggers, tractors etc.